This magnificent and unique challah knife from Lilly Art will blend in and enhance any Shabbat table. 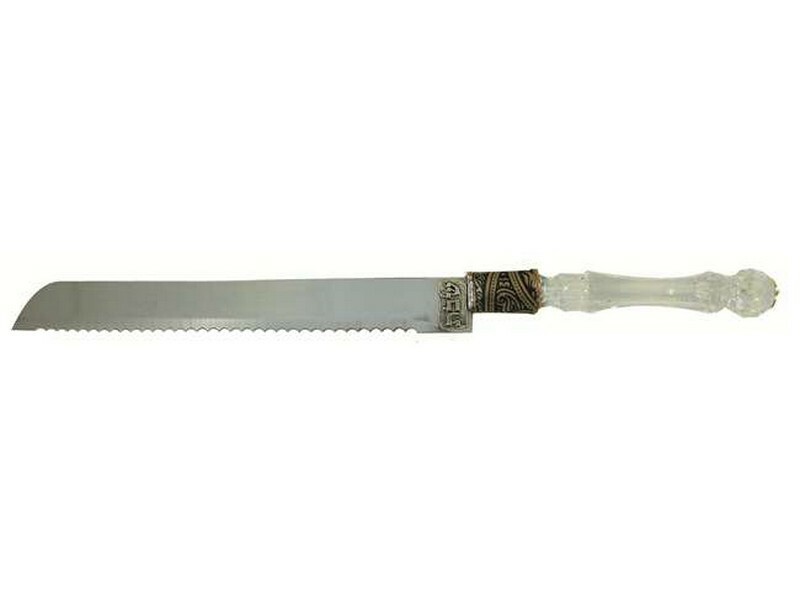 The long and durable stainless steel blade has the Hebrew word “Shabbat” affixed near the handle. The graceful Lucite handle is joined by a decorative brown colored ring. The Lily Art collection is uniquely designed by hand in in the Israeli town of Gan Yavne. Under the leadership of Lily Shohat, an acclaimed artist, designer and creator of a variety of Judaica items, the Lily Art collection is recognized as a leader in unique Israeli Judaica design.